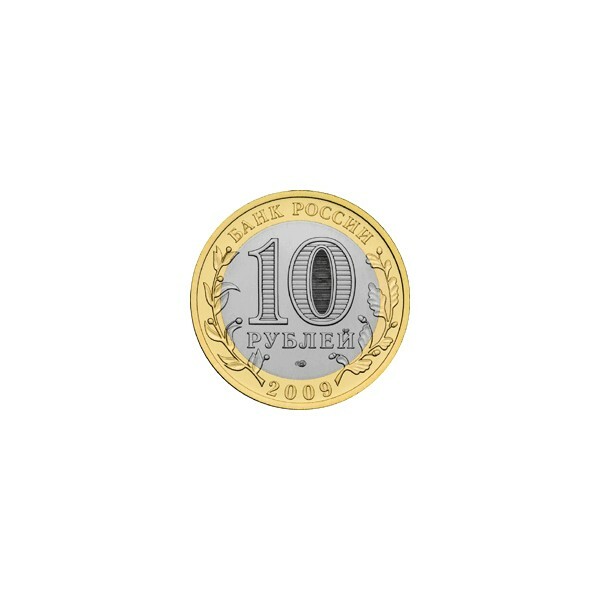 Obverse: In the center, the face value of the coin "10 РУБЛЕЙ" (10 rubles). Inside "O", hidden pictures of "10" and "РУВ" (RUB) visible by turn on changing the angle of vision. Underneath the disc, the mint trade mark. 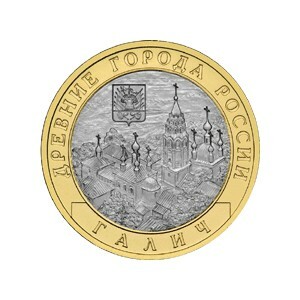 At the top, of the ring, the text along the rim "БАНК РОССИИ" (BANK OF RUSSIA), at hte bottom, the year of issue "2007", on both sides, stylised twigs of plants going over the disc. 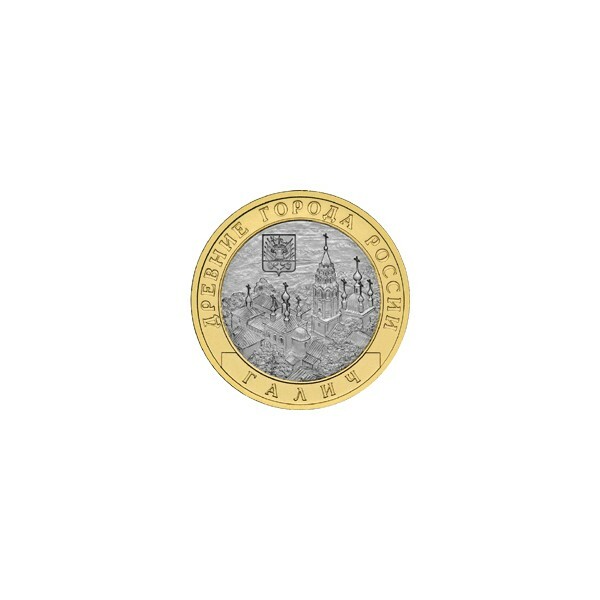 Reverse: Galich is a town in Kostroma Oblast, Russia, situated on the southern bank of Lake Galichskoye. It is also a minor railroad node of the Trans-Siberian railway. The town was first chronicled in 1234 as Grad Mersky (i.e., the Town of the Merya). It gradually developed into one of the greatest salt-mining centres of Eastern Europe, eclipsing the Southern town of Halych, from which it takes its name.